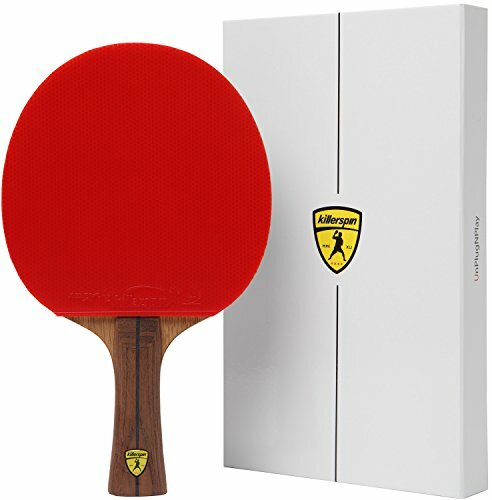 It is so annoying to get a hand cramps up while you play table tennis but, if every time you get a hand cramps up at the end of the game then, it is a time to take a look at your paddle. Usually, a good paddle with an ergonomic design that will fit perfectly on your hand. It allows playing for hours without discomfort. Most of the time table tennis paddle is cheap and not made nicely. Thus, you have to look for an improved model like the STIGA Pro Carbon Table Tennis. 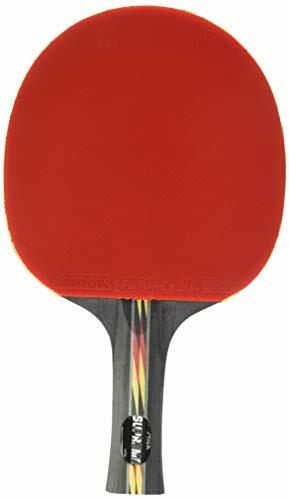 So today’s review is on STIGA Pro Carbon Table Tennis that has high ratings for speed, spin, and overall control. As there are tons of rackets or paddle available in the market, but STIGA Pro Carbon racket can take your typical game to an extraordinary level with a superb spin. No matter you’re a beginner or intermediate or professional player with its light design and comfortable handle, you will get decent control for more accurate shots. You will not get hurt in wrist and hand also player will not feel tired as well. Stiga Pro Carbon is high-quality in the market but comes at an affordable price that will be a huge bang for your buck. It is made of with a 7-ply extra-light blade that will reduce exhaustion and produces excellent shots. Stiga is a well-known brand that has set an unbeatable mark for making a world-class racket. It was started in 1944 and until now producing a quality product a tennis lover searches in the racket. So let’s see in detail about it! Also, you will get an S5 rubber with the 2mm sponge that will provide great bounce and sensitivity without losing control or spin. One of the best things about the Stiga Pro Carbon is that it comes with extraordinary SDT that will prevent vibrations. Furthermore, STIGA Pro Carbon Table Tennis is approved by the International Table Tennis Federation that meets all the specifications and regulations for professional matches as well as any type of competitive play. All in all, a player will get oriented towards better performance that meets all your needs. You can also check out Stiga table tennis which are among best pin pong tables. Stiga Pro Carbon is made up of STIGA S5 rubber that is approved by ITTF to a paly international tournament. It is a lightweight blade with 2mm sponge with a flared handle with WRB hi-tech. Stiga Pro Carbon provides excellent power and speed. Its performance rating speed: 99 spin: 100:80. One of the best things about the Stiga Pro Carbon is the design which is coated with luxurious red and black color that makes a unique appearance. Stiga Pro Carbon uses premium quality two-layer pro carbon mechanism and ITTS certified rubber and lightweight wood ply. A wood ply is split into the double layer carbon which will add extra power and spin. Moreover, it uses thick 2.0 mm sponge so that it will give a slingshot effect. Stiga Pro Carbon has 99 for speed and 80 for control and 100 for spin performance record that will be perfect for improving performance quality. It comes with a Concave Pro Handle and the Shock Dispersion Tube that will enhance your performance exponentially. A player can hit each shot easily, and they won’t feel any exhaustion on the hand or wrist. If your opponent hit the hardest shot still Stiga Pro Carbon will ensure a potent and controlled finish. While playing the game, the player will feel comfort and recovery after each shot. Since the Balsa Technology of the paddle offers ultra-light Balsa wood that boosts overall speed after each stroke. It is less precise rackets in the market. Players can’t make precision shots with other paddles, so it needs a lot of practice to get habituated. It is a lightweight so it will feel a bit uncomfortable for some people. Stiga Pro Carbon has a rough wood which some people will feel frustrating to use.